The Footmed Foot and Ankle Clinics team consists of experienced, registered podiatrists and support staff. Our team works throughout Adelaide, Elizabeth Vale and Murray Bridge, providing reliable podiatry care to help you stay on your feet. 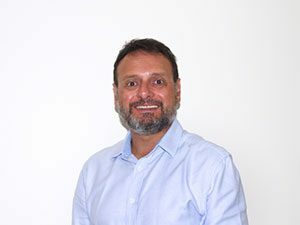 A podiatric surgeon with ten years of surgical practice specialising in reconstructive and elective surgery of the foot, Angelo continues to advance his surgical repertoire by providing patients the option of minimal incision surgery (MIS) in isolation or in combination with traditional approaches. Angelo also has vast experience with occupational related musculoskeletal injuries of the foot and ankle including novel assessment of gait related disturbances utilising F-scan plantar pressure analysis. Angelo is the Chief Executive Officer and foot surgeon at Adelaide Ambulatory Surgical Suite located at the East Adelaide Medical Center, an accredited facility that offers patients the convenience and the affordability of having foot surgery and procedures performed with the highest level of safety outside the hospital setting. Angelo is a visiting lecturer at the University of SA in podiatric surgery clinical studies 400 and provides observational placements for undergraduate podiatry students. He is a reviewer for The Journal of Foot and Ankle Surgery and was recently awarded a Fellowship with the Royal College of Physicians and Surgeons of Glasgow. 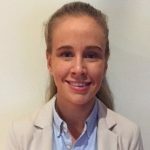 Ursula Richards is an enthusiastic podiatrist who comes from an extensive basketball background; being a former member of the Adelaide Lightning Strike Squad, having captained SA Metro state teams and graduating as a full scholarship holder from the SA Sports Institute. She also boasts many years of experience playing in the SA Premier League competition for the Woodville Warriors. Ursula’s sporting involvement has helped shape a strong interest in the area of sports podiatry and forms a greater understanding for how athletes function and musculoskeletal injuries. Ursula’s sporting involvement has helped shape a strong interest in the area of sports podiatry and forms a greater understanding for how athletes function and musculoskeletal injuries. Ursula is often able to relate personally to the injuries, footwear and dynamic forces on the feet when landing, rebounding, jumping and dodging in netball or exploding off the dribble in basketball. Ursula has a particular interest in dry needling and mobilisation, which is often used in conjunction to other treatment methods in a consultation. 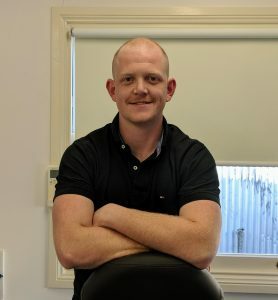 Dale joined Footmed after concluding practice in rural South Australia in early 2017. He successfully completed his Podiatry studies at the University of South Australia, where he also studied Human Movement. Dale holds qualifications as a Gym Instructor and Personal Trainer. By combining the skills and knowledge gained from his experience in both disciplines, Dale approaches concerns from a whole body perspective, rather than simply looking at the feet in isolation. By assessing the body as a whole, and how the feet function together with the rest of the body, Dale is well equipped to assist with a broad range of foot and leg concerns. Emmanuel graduated from the University of South Australia with a Bachelor of Podiatry. Emmanuel enjoys all aspects of podiatry in particular general foot care, sports podiatry and nail surgery. He is passionate about helping people and thrives in finding tailored solutions for his clients. Emmanuel is a member of the Australian Podiatry Association and participates with ongoing professional development seminars. 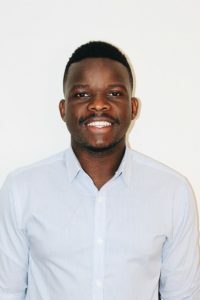 Outside work, Emmanuel is involved with a competitive dancing group, social soccer team and recently developed a keen interest in road cycling. Katie Kneebone is passionate to provide the best care for her clients. Katie graduated from the University of South Australia with a Bachelor of Podiatry with Honours. Her honours research explored the assessment of children’s feet. 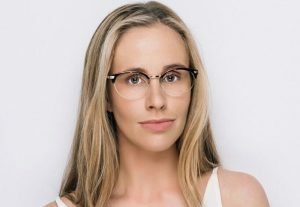 Katie is the vice-president of the South Australian Podiatry Association and works with a number of teams including the mentoring and conference committees. Katie has come from a family with a long history in the health professions. This background has established a firm belief in a holistic approach; she believes you can’t understand one problem without looking at the whole. She is therefore committed to working closely with medical and other health professionals. 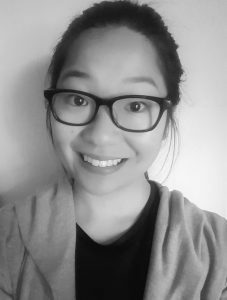 Dao completed her Bachelor of Podiatry at the University of South Australia in 2015. Whilst she was studying, Dao participated in multiple outreach clinics in Broken Hill, Wilcannia and White Cliff in rural NSW. As a podiatrist, Dao is constantly keeping up to date with the latest evidence based research and expanding her knowledge in multiple treatment modalities. 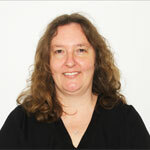 She has a clinical interest in paediatrics, biomechanics and prevention and management of lower limb complications. Aside from being a bit of a foodie, Dao enjoys her spending quality time with friends as well as hiking, playing squash, going to the gym and participating in social volleyball. Our administration and front desk staff are here to make your visit to Footmed comfortable and efficient. Whether that be promptly answering the phone, to helping you with paperwork, we aim to make your visit enjoyable. If you have any concerns or queries, don’t hesitate to contact one of our staff. Georgie has been part of Footmed Foot and Ankle Clinics since 1990 and loves her work as Group Manger of Footmed Foot and Ankle Clinics and Surgical Suite Coordinator of Adelaide Ambulatory Day Surgery. Georgie is married with two beautiful daughters and 1 very spoilt miniature dachshund called Schnitzel Von Krumm. When not working Georgie loves to travel, exploring other countries’ cultures and cuisines. Georgie and her husband also like to challenge themselves with long hiking trails when travelling and when at home will seek out interesting weekend walks. 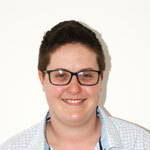 Kathy was born in Adelaide but has lived most of her life in Murray Bridge and attended the local high school. Kathy has been married to her husband for 27 years and has two lovely daughters and two handsome grandsons. When Kathy is not working at Footmed Foot and Ankle Clinics she spends her time looking after her grandsons who keep her very busy. She also enjoys going for walks, listening to music and going shopping. 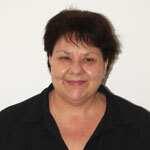 Kathy enjoys her role as office manager and has been employed by Footmed Foot and Ankle Clinics since 2002. Jacqui was born in Murray Bridge and attended Murray Bridge high school. On completing year 12 she moved to Adelaide to study at a legal and commercial college. 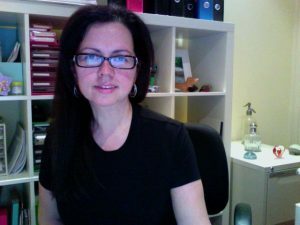 After working for a law firm for a few years Jacqui met her now husband and moved back to Murray Bridge where she currently lives with her husband and two children. Jacqui has worked at Footmed Foot and Ankle Clinics since 2002, during this time she has furthered her studies to include a Podiatry Assistants course and is also trained in footwear fitting. In her spare time Jacqui enjoys reading and spending time with her family.